Say Hello to the Longest Range Artillery Weapon in the Nigeran Army. Concept of modern warfare projected upon the battlefield greatly expanded in-depth both in the rear and to the forward edge of the battle area. 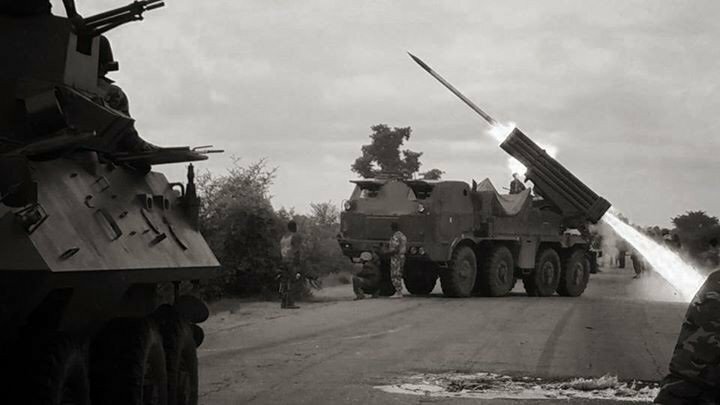 This approach was made possible and necessary by the development of rocket artillery weapons.Mobility and flexibility, the basic characteristics of these weapons are essential for furnishing the continuous fire support demanded by wide dispersal of ground units in modern battle. The RM-70 MLRS is Nigeria’s longest range Field Artillery weapon. Maximum tactical mobility is achieved by mounting the rockets on light weight wheeled vehicles. This means the artillery can be deployed to firing position within minutes in any terrain and environmental condition, short of an actual flood. Nigerian Army Field Artillery troops take firing position during combat operations against Boko Haram. 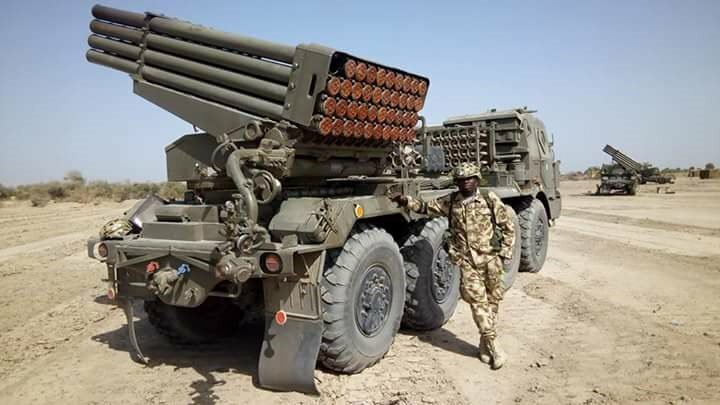 The Nigerian Army is one of the largest operator of Multiple Launch Rocket Artillery Systems in Sub Sahara Africa, with 30 BM-21 GRAD and 37 RM-72 MLRS in active service. 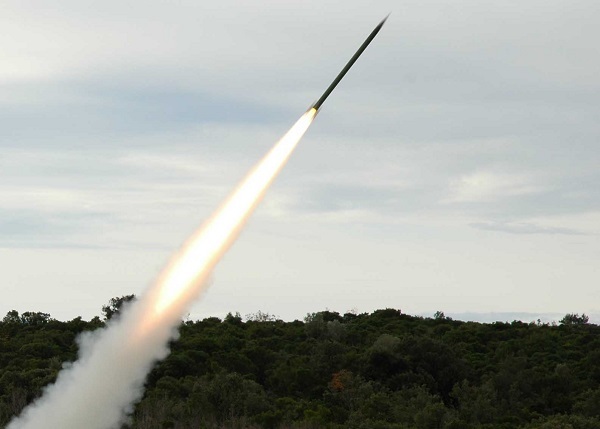 Its long-range and rugged reliability permits launching operations to take place from up to 26 kilometres away from the tareget. It is designed to be used against manpower, firing devices, motorized infantry arrangements, tanks and other combat vehicles. The rocket launcher with loading device is placed on a special T-813 chassis. Sighting by dependent PG aiming rule sight, motor powered or manual guidance to target. Electrical switch-on. Firing in batches and/or individually. The RM-70 Modular uses interchangeable rocket pods and is capable of firing either 28 122 mm Grad rockets, or 6 227 mm M270 MLRS rockets. It makes vehicle compatible with NATO munitions. The 122 mm rockets are less capable and are mainly used for training. Still though Slovakia has a number of these rockets in storage. A standard 227 mm rocket is 3.96 m long and weights 307 kg. Its warhead weights 120 kg. Maximum range of fire is 40 km. The RM-70 Modular can fire the full range of M270 rockets, including HE-FRAG and cluster. It can also fire newly developed extended range guided munitions with a range of 60-100 km and MGM-140 ATACMS tactical missiles. 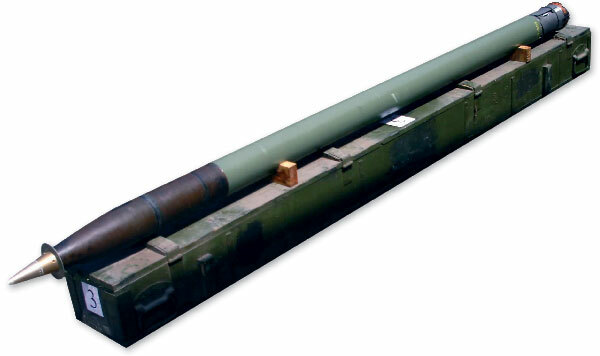 Though it is unknown if Slovakia obtained these extended range rockets and tactical missiles. A standard 122 mm rocket is 2.87 m long and weights 66.6 kg. Its warhead weights 19.18 kg. Various warheads are available, including incendiary, smoke, illumination and cluster warheads with anti-tank or anti-personnel submunitions. Also there are some other specialized warheads. The RM-70 Modular is extremely effective against area targets, such as concentrations of troops and armored vehicles, artillery batteries, airfields and other targets. The launcher vehicle has an armored cab. It is operated by a crew of 3 or 4 soldiers. The launcher vehicle is fitted with new computerized navigation and targeting systems. It is fitted with hydraulic arm, which is used to pick up and replace rocket pods. So effective is the RM-70 that the Nigerian Navy is toying with the idea of using the RM-70 on moving ships to provide saturation offensive firepower on coastal targets. Previous Post Previous post:Cameroon and Nigeria : How both nations TRAIN for WAR! Next Post Say Hello to the Smartest White Nation on Earth.